Sometimes it’s hard to see God’s plan. Young Mary never imagined she would be pregnant before she was married. 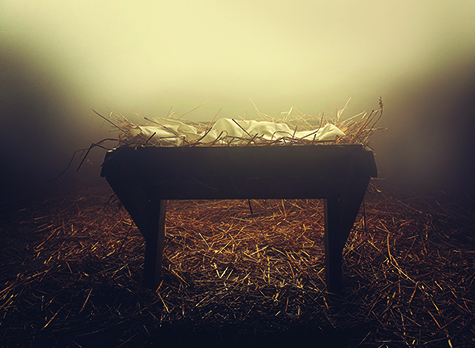 Certainly as her labor pains began, neither she nor Joseph planned on Mary having to give birth to the Savior of the Nations in a lowly stable. God’s plans are often not our own. Like Mary and Joseph, 32-year-old “David”* is learning how to fully rely on God. Until last year, David lived in Iran where he made a good living as a flight attendant. Like 99.4 percent of Iranians, David identified as a Muslim.Until he found a Bible. As David’s faith grew, he found other Christians hiding in Iran. But fearing for their lives, they had to study Scripture in secret. Heeding his friend’s words, David decided to take a drastic step: he would join the thousands of other refugees seeking a new life in the West. As a college graduate with a degree in English, he hoped to make it to Great Britain, the United States or Canada. David wasn’t able to make it to any of those countries. Instead he ended up in Leipzig, Germany, where he has lived for the past year, sharing a small room with two other men in government refugee housing. He’s having trouble passing the test to show his mastery of the German language, which is required in order to get a job. But God does not abandon His children! Just as God loved and protected Mary and Joseph, He is taking care of David.